The proposed amendments also remove protections against rendering a person stateless. weakening and complicating protections against the creation of statelessness. These amendments are directly contrary to bipartisan recommendations of the Parliamentary Joint Committee on Intelligence and Security, contained in its report of September 2015. Those recommendations were followed when parliament inserted the current citizenship stripping provisions into the Australian Citizenship Act 2007 in December 2015. The proposed amendments address what an earlier Conversation piece referred to as “conviction-based citizenship deprivation”, one of three mechanisms for deprivation introduced into the Act in 2015. Of the offences currently listed as potential triggers for deprivation, some are directed at terrorism and some are without that connection (for example sabotage and espionage). All carry a maximum sentence of ten years or more: for example treason (life); espionage (life); directing the activities of a terrorist organisation (ten years) or; membership of a terrorist organisation (ten years). there will still be degrees of seriousness of conduct and degrees to which conduct demonstrates a repudiation of allegiance to Australia. The committee also insisted on an additional requirement that the relevant convictions result in a sentence of at least six years imprisonment in total. the new lower standards apply retrospectively to convictions from 12 December 2005 in relation to the relevant terrorism offences. The proposed amendments also weaken the safeguards on the creation of statelessness. Currently, a person can only be deprived of citizenship under the provision if he or she “is a national or citizen of a country other than Australia” at the time when the minister strips him or her of citizenship. This is to ensure that the minister does not render the person stateless. the Minister is satisfied that the person would not […] become a person who is not a national or citizen of any country. The proposed formulation substitutes the minister’s satisfaction for the facts of the matter. But under Australia’s international law commitments on statelessness, the minister’s opinion is irrelevant. What matters is whether the person is a citizen under the domestic law of the foreign country concerned. If the minister’s view that a person is a citizen of country X diverges from the view held by the authorities in country X, there is a practical impasse. If country X determines the person is not one of its citizens and accordingly refuses to admit them, and Australia denies the newly minted non-citizen a visa, deprivation may result in the former Australian citizen being held in indefinite immigration detention. And the nature of the inquiry has changed. In context, the word “become” muddies the time at which the person must have another nationality. It invites the possibility that deprivation will render a person stateless, but that, over some unspecified period, they will become the national of another country. These comments on statelessness should be understood in the context of Australia’s opaque process for determining a person’s foreign nationality or nationalities. In the United Kingdom, for example, a person has a statutory right to appeal a ministerial decision to strip them of citizenship. In the exercise of these appeal rights, the most frequently litigated issue is whether a person has another nationality (the Pham case is a prominent example). Expert witnesses are called and cross-examined on difficult questions of foreign nationality law. None of this institutional infrastructure is provided for under the Australian legislation. How these issues are resolved needs attention. If parliament has learned anything in the past few years, it should be that determining whether a person has a foreign citizenship is no simple matter. The Parliamentary Joint Committee on Intelligence and Security has announced an inquiry into the Bill. Submissions close on January 11, 2019. State government remains an important part of the Australian political landscape. The exposure of the rorting and corruption of a number of state politicians – notoriously Eddie Obeid and Ian Macdonald during the most recent period of Labor government in New South Wales – has also fuelled a more general contempt for state politics. But the states at least have well-developed integrity systems that have landed a few crooks in prison. It would be mischievous as well as libellous to explore whether some of their federal counterparts have been cleaner or luckier. Still, the Bracks Labor government in Victoria sought to use its personnel and resources to influence the national policy debate. It contributed a National Innovation Agenda, which the Rudd Government took up as a starting point for its own efforts in that field. Politicians are fond of pitching to the “average Australian” but judging by the income of Australians, whether you are middle class depends on where you live. And where we live tells a rich story of who we are as a nation – socially, culturally and economically. Income is at the heart of access to services and opportunities, which are differing and unequal based on where you live. Our ability to afford housing that meets our needs largely determines where we live. In turn, where we live influences access to other important features of our lives which shape lifelong and intergenerational opportunities. For example, student performance is associated with everything from where a student lives to their parent’s occupation. Household incomes in capital cities are typically among the highest, with incomes declining the further you live from major cities. So it’s understandable why Australians living outside or on the fringes of cities might feel somewhat left behind. The Australian Bureau of Statistics presents “average” income as a range based on where you live. This range is marked by a lower number (30% of incomes) at the beginning and the higher number (80% of incomes) at the top. This “average” income varies substantially between different rural areas from A$78,548 – A$163,265 in Forrest (ACT) to A$10,507 – A$26,431 in Thamarrurr (NT). This is actually an equivalised household income which factors in the economic resources like the number of people and their characteristics, between households. The difference between the top and bottom of this range of “average” household income also shows greater inequality within areas. Even within the greater Sydney metropolitan area, there’s significant differences in household income between areas. The average household equivalised income in Lavender Bay is around A$40,000 – A$95,000 higher than it is in Marayong. The difference in income is marked, and there are other differences too. People in Marayong are on average younger than Lavender Bay. Family size is smaller in Lavender Bay. Over half of the Lavender Bay residents hold university degrees, compared to a more skill-based workforce in Marayong. Cities offer access to myriad employment options. Industries associated with relatively high incomes are typically concentrated in cities to take advantage of global connections. Sydney, Melbourne and Canberra are notable standouts based on household income. So if you live close to these major cities you’d be getting the most opportunities in terms of employment and income, given the you’re the right candidate. But not everyone wants to live in the centre of cities. Housing, lifestyle and neighbourhood preferences also play a role in where we live, but are still influenced by income and proximity to such things as employment and family and friends. Also, infrastructure which supports social and economic wellbeing is essential in communities, regardless of where we live. Improving the different and unequal access across areas requires better internet connectivity and advances in the way we work. Policies around housing and family-friendly workplaces go some way to supporting Australians in work. Any measures to redress inequalities require understanding the needs and wants of communities. Proposed planning to reconfigure the greater city of Sydney around population and socioeconomic infrastructure offers an example of a data-driven approach to planning. Whether the proposed reconfiguration of Sydney leads to improvements or greater segmentation will be revealed in practice. Politicians rarely reflect the characteristics of the people they represent, particularly when we consider the remuneration, entitlements and perks of political office. The longer politicians are in office, and somewhat removed from the people they represent, the further they potentially become from gauging their electorate. Yet politicians profess to know what the average Australians they represent needs and wants. They apply this to a range of things from service delivery to representation on political matters. And this is within reason. But without current experience we struggle to see things from perspectives other than our own. Take for example the way some have come to label themselves outsiders from the social and political elite to advance their credibility with average Australians. Bringing politicians in touch with the diversity of needs and wants of Australians starts with a self-check and recognition of individual bias (conscious or unconscious). This is the first step toward really understanding and connecting with Australians – be it in the “average” or otherwise. Are we going to see an Amazon or Apple remake of Crocodile Dundee, Blinky Bill, The Magic Pudding, The Castle or Picnic at Hanging Rock? Should we restrict overseas exploitation of such icons of Australian identity? Should we not bother, on the basis that Australian content doesn’t work in Mumbai or Belgrade or Boston? This week has seen controversy over Amazon’s plan for a Lord of the Rings series, feeding what it hopes is an insatiable appetite for hobbits. It’s part of Amazon chief executive Steve Bezos’s ambition to offer a global one-stop shop for culture and other consumables. Amazon aims to be a universal service provider in a landscape where broadcast tv, cable tv and traditional retailers wither and die. The plan tells us something about culture: it’s for sale. It also tells us about franchising content for global markets: media executives are risk-averse and unimaginative. It leaves unanswered questions about taking Australia’s content to the big screen (and importantly little screens) across the world. Picnic at hanging rock is one of the most loved and iconic Australian films of its time – will it also be franchised out? Recycling popular culture, very profitably, isn’t new. We can see it with the many iterations of Batman and Superman videos, films, t-shirts, books, posters and toys since the original comics. We can see it with more than 160 years of remakes of Sweeney Todd. Think Frankenstein and Dracula or Godzilla or Sherlock Holmes. There’s money to be made from recycling and authorised spinoffs, duly policed or contested by copyright and trade mark lawyers – the gatekeepers of the information economy. On that basis, Amazon’s vision is unsurprising. Billion-dollar deals in recent decades have involved media groups buying comic publishers such as Marvel, on the basis that the publishers managed to get the vital intellectual property rights. Other big-ticket deals involve Peter Rabbit, Thomas the Tank Engine and Hercule Poirot. That means there’s yet another Murder on the Orient Express on the big screen, with big actors, big moustaches and – the producers hope – big box office. Kenneth Branagh and Daisy Ridley star in Twentieth Century Fox’s remake of Murder on the Orient Express. There’s nothing to stop such recycling and the proliferation of products such as Peter Rabbit or Darth Vader figurines, plates, lunchboxes, t-shirts and sheets apart from intellectual property rights. Rights owners are free to licence, gift or simply sell their creativity. Contention has usually centred on whether they sold too cheaply or unwisely – one claim with the Agatha Christie and Tolkien estates – or whether the value of the ‘brand’ was eroded through too many tasteless products. On that basis we can expect to see an ongoing proliferation of products and a recycling of “classic” works ranging from Casablanca to The Empire Strikes Back. Marketers will respond to what they perceive to be market demand. Recycling will occur because the managers running the large media groups – which will increasingly include businesses such as Apple, Amazon and Microsoft – are risk averse. It is safer and easier to refashion existing content than develop truly new content. Safety reflects a lack of imagination: your peers are making money by bringing comic book heroes to the big screen, so you can too. A global distribution system – one reason why the big companies remain important – means that you can sell other-worldly content across the globe. No worries that audiences in Karachi or Shandong or Harare or Melbourne will reject a tale about purdah or genocide in Bosnia or colonisation on the US frontier. Hobbits and R2D2 and Spiderman are universal. Is this good news for Australian creators and for people who think about protecting the “Australian identity”? The answer is yes and no. Australia doesn’t have law prohibiting sale to an overseas buyer of rights in iconic works such as Dot & the Kangaroo, The Muddleheaded Wombat, Possum Magic, The Magic Pudding, Johnno, The Man Who Loved Children or Wake in Fright. It doesn’t restrict licensing of those works. Despite the Prime Minister’s recent foray into populism about Ugg boots, it is difficult to see any government establishing credible restrictions. The bad news is that overseas marketers appear to believe that Australian content doesn’t travel. We are accordingly an importer rather than a major exporter of literature and film. That is an issue in debate about copyright changes. It may reflect stereotypes – Nordic noir, English bluebloods, quirky New Zealand, Indian Bollywood, Australian deserts and men with dresses or Dundee knives. The state governments have been enthusiastic about establishing Brisbane, Sydney and Melbourne as “film cities”. Major overseas productions, including Thor and Pirates of the Caribbean, have used Australian infrastructure and skills. We haven’t however seen many distinctively ‘Australian’ works go global. Works such as The Slap have been refilmed with offshore settings and offshore accents. Sassy koalas and talkative flying kangaroos might make a breakthrough into the the global market. We want that because it encourages emulation rather than just enriches the creator and creator’s estate. If we are concerned about national cultural policy we might controversially put less taxpayer money into support of the local arms of overseas media groups, all of which pay very little tax, and instead foster local production and global distribution. Australians are increasingly concerned about how companies handle their personal data, especially online. Faced with the increasing likelihood that this data will be compromised, either through cyber attacks or mishandling, companies are now being forced into a more comprehensive approach to collecting and protecting customers’ personal data. The question remains – what is the best approach to achieving this goal? The Organisation for Economic Co-operation and Development (OECD) has proposed that instead of talking about cybersecurity – companies, organisations and nations should be viewing the problem from a digital security risk management perspective. Cybersecurity often overlooks risks to data that have nothing to do with a “cyber” element, even if people could agree on a definition of that term. In the case of Edward Snowden for example, he used a colleague’s credentials to access the system and copied files to a USB drive. Digital security risk management involves getting everyone in an organisation to see digital risk as part of the overall risks that the organisation faces. The extent of risk any organisation is willing to take in any particular activity depends on the activities value. The aim is to manage the risk to a level that is acceptable to all parties. What do you do about the weak link: humans? It is worth remembering that in the case of the Equifax breach in which the personal details of up to 143 million customers in the US were leaked, it was largely human errors that were to blame. Put simply, the person who was responsible for applying the patch (a piece of software designed to update a computer program or its supporting data, to fix or improve it) simply didn’t do their job. The software that was supposed to check whether the patch had been applied also failed to pick this up. Until humans can be taken out of the equation entirely, it is almost impossible to remain entirely secure, or to avoid the inadvertent disclosure of personal and private information. Insider threat (as this type of risk is known) is difficult to combat and companies have tried various approaches to managing this risk including predictions based on psychological profiling of staff. Automation and artificial intelligence may be a way of achieving this in the future. This works by minimising the amount of sensitive information staff have direct access to and surfacing only the analysis or interpretation of that data. If you needed convincing about the vulnerability of personal data on the Internet, you only need look at Gemalto’s data breach website or DataBreaches.net. The breaches of private and personal information don’t recognise national boundaries with hacks of companies like Yahoo having affected 3 billion users, including millions of Australians. Of course, Australian companies and organisations have also been involved with spectacular data breaches. Last year saw the Australian Red Cross expose 555,000 customer records online. Of more concern was the Australian Department of Health had published online what they believed were de-identified records of Medicare and pharmaceutical claims of more than 3 million patients. Researchers at the University of Melbourne discovered that the “encrypted” doctor provider numbers could be decrypted. Are we looking at it in the wrong way? Whilst there are practical steps companies can take to protect digital systems and data, there are more fundamental questions companies should be asking from a risk perspective. In order to navigate these questions, companies need to understand the data they collect and perhaps surprisingly, this is something most companies struggle to do. The 13 Australian Privacy Principles from the Office of the Australian Information Commissioner outline the basics of how organisations and agencies should handle personal information. The practical application of these principles involves an approach called Privacy By Design for all applications and services companies offer. For CSIRO’s Data61, the answer to breaches of this sort is “confidential computing”. Data61 is tasked with data innovation and commercialisation of its research ideas. Confidential computing is the remit of Data61’s latest spin-off, N1 Analytics. The main aspect of confidential computing involves keeping data encrypted at all times and using special techniques to be able to query data that is still encrypted and only decrypting the answer. This can even allow others outside an organisation to query internal data directly or link to it with their own data without revealing the actual underlying data to either party. Aside from the case of allowing the use of sensitive data in research, this approach would allow a company with financial information say, to share this data with an insurance company without handing over sensitive information but theoretically letting the insurance company carry out extensive data analytics. As a starting point, Australian companies should only collect the minimum of personal information that the business actually needs. This means not collecting extra information simply for marketing purposes at some later date for example. Companies then need to explain in simple, clear, terms why information is being collected, what it is being used for and get users to consent to giving that information. Companies then need to secure the data that is collected. Security involves dedicated staff understanding the data that is kept by a company and taking responsibility for its physical security and for controlling who has access, when they have access and what form they can access the data. Lastly, they need to understand and enact a risk management approach to all digital data. This means that this is part of the overall culture of the company for every employee. Amazon is a low-margin retailer sitting on other higher-margin businesses. E-commerce giant Amazon has struck a deal to acquire Whole Foods Market, an American supermarket chain with more than 400 stores. The move has put even more pressure on Australian retailers as Amazon sets up shop in Australia. But the real threat to Australian retail lies in Amazon’s business model. It is a low-margin retailer that owns several other highly profitable and fast-growing businesses, such as cloud services. These other businesses can and do cross-subsidise its retail operations. JB Hi-Fi and Harvey Norman have suggested they will compete with Amazon on price, but given the cost structure of Australian retailers this may not be possible. While Amazon is extremely large, it is very lean. In 2016 alone, Amazon sold US$94.7 billion of product globally. But the cost of buying (or manufacturing) these products was US$88.3 billion, leading to a gross profit of just US$6.4 billion. This means the mark-up Amazon puts on its products is very small. For example, in 2016 Amazon’s gross profit margin (gross profit divided by sales revenue) was just 6.8%. JB Hi-Fi had a margin of 21.9%, Woolworths 26.8%, Wesfarmers 31.0%, Harvey Norman 31.4%, Myer 42.1% and Super Retail Group a whopping 43.4%. But Australian retailers also face high operational costs (wages, advertising, marketing and leases). The two largest, Wesfarmers and Woolworths, both have operating expenses in excess of 24.0% of sales revenue, while Myer, Super Retail Group and Harvey Norman are all around 40.0%. JB Hi-Fi is an outlier at just 16.3%. Another important measure to consider is the net profit margin. This shows what percentage of each dollar of sales the company ultimately earns after all costs (including tax) are factored in. Net margin is calculated by dividing net profit after tax by sales revenue. The net profit margins for Australian retailers are, for the most part, quite low – around 2-3%. This means they don’t have much room to move on price. If they drop prices, many will become unprofitable. So even if Amazon doesn’t start a price war in Australia, its business model is such that prices will be extremely competitive. Most Australian retailers are only retailers. Some of the larger groups, such as Myer and Wesfarmers, operate across a few industries. But they ultimately still earn nearly all their revenue from buying and then re-selling physical products. Amazon, on the other hand, has a profitable and booming services business. Its “services sales” represents about US$41.3 billion in sales, or 30% of its revenue. This covers third-party seller fees (Amazon charges other companies for access to its marketplace and warehouses), Amazon Web Services (a fast-growing provider of cloud services), digital subscriptions, advertising services and co-branded credit card fees. In its 2016 annual report, Amazon reported US$12.2 billion in revenue from Amazon Web Services alone. The scariest thing for Australian retailers is that this has increased four-fold since 2013, and is responsible for nearly 75% of Amazon’s operating profit. Amazon, then, not only has a large, low-margin online retail offering, but is supported by a fast-growing, high-margin cloud service. 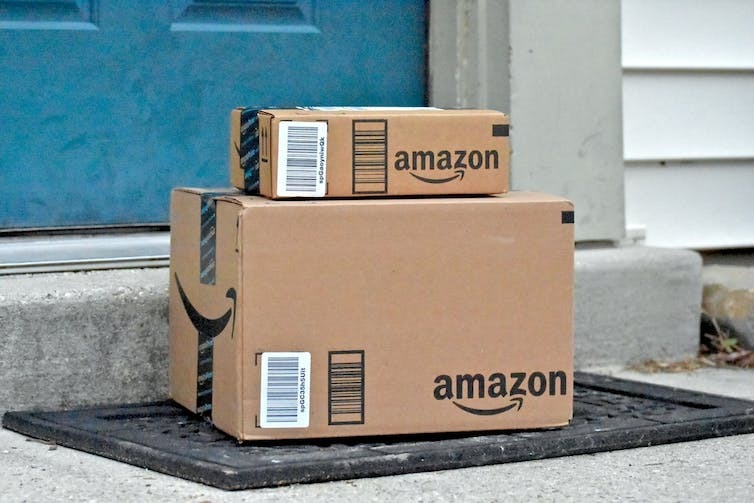 Most Australian retailers will need to look at other ways of saving costs if they are to remain competitive with Amazon. For example, Coles and Woolworths can put even more pressure on suppliers to reduce their costs. Coles has recently signalled that it will pursue this strategy. And all of our retailers can try to reduce the cost of leases, and shift or reduce staff. The small margins of most Australian retailers mean reducing prices alone isn’t a viable long-term strategy, especially as Amazon Web Services gains steam and Amazon is profitable in other countries. Not every retailer will come under the same pressure, though. In the short term at least, groceries are still likely to be purchased in stores. But the same can’t be said of clothing and electronics. This means Woolworths and Wesfarmers should not be as concerned as Myer, Super Retail Group and JB Hi-Fi. The answer for retailers may be to look past price and compete on other aspects of the shopping experience, such as convenience or customer service. But only time will tell if that’s what the Australian public wants. Could you pass the proposed English test for Australian citizenship? 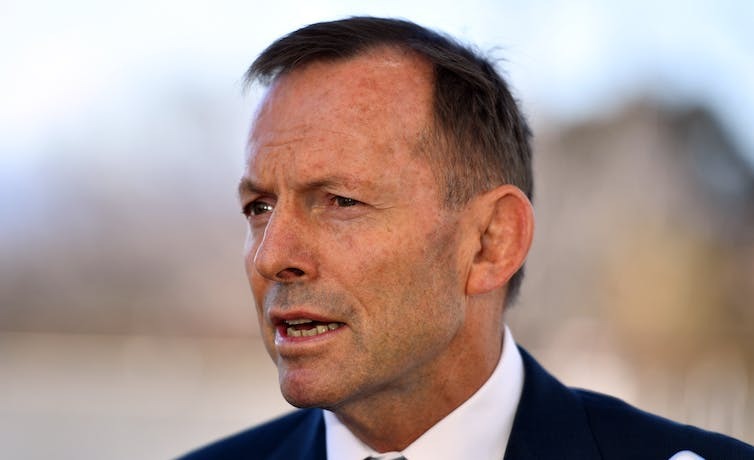 English language tests will be used to decide Australian citizenship. The Australian government is proposing tough new English language competency requirements for those seeking Australian citizenship. Question: What do these two excerpts have in common – besides their clumsy sentence structure? If the land is ploughed when wet the furrows may, and in all probability will, wear a more finished appearance, and will be more pleasant to the eye, but land so ploughed will be more inclined to become set or baked, and when in this state will not produce a maximum yield. By carefully preplanning projects, implementing pollution control measures, monitoring the effects of mining and rehabilitating mined areas, the coal industry minimises the impact on the neighbouring community, the immediate environment and long-term land capability. Answer: They are both language tests used to decide Australian citizenship. The first is a 50 word dictation test that was key to the White Australia Policy. It was used to keep non-Europeans out of Australia. Even if you passed the test in English, the immigration officer had the right to test you again in another European language. It was used from 1901 until 1958. The second one is 50 words from a 1000 word reading comprehension exam with 40 questions that you must complete in 60 minutes. This test is key to Australia’s proposed new Citizenship test. You must also write two essays, do a 30 minute listening test and a 15 minute speaking exam. If it passes through Parliament this week, it will be used from 2017. Aspiring Australian citizens will need to score a Band 6 on the general stream of the International English Language Testing System (IELTS) test, the same score as those seeking entry to Australia’s top university. So, could you pass the test? You have 60 minutes to read at least four texts taken from magazines, newspapers or training manuals, and answer 40 comprehension questions. Your short answer responses are also assessed for grammar and spelling. Here is an excerpt from a piece about bee behaviour. Try the test for yourself. Write a letter to the accommodation officer complaining about your room mate and asking for a new room. You are marked on the length of your response, its cohesion, vocabulary and grammar. Dear Sir/Madam, I am writing to express my dissatisfaction with my room-mate. As you know we share one room, I can not study in the room at all any more if I still stay there. Currently our national school test results from NAPLAN show that 15.3% of Year 9 students are below benchmark in writing. This means they would not achieve a Band 6 on the IELTS test. I prepared students for the IELTS test when I lived and taught in Greece. They needed a score of 6 to get into Foundation courses in British universities. It wasn’t an easy test and sometimes it took them more than one try to succeed. My students were middle class, living comfortably at home with mum and dad. They had been to school all their lives and were highly competent readers and writers in their mother tongue of Greek. They had been learning English at school since Grade 4, and doing private English tuition after school for even longer. Essentially they had been preparing for their IELTS test for at least 8 years. They were not 40-year-old women whose lives as refugees has meant they have never been to school, and cannot read and write in their mother tongue. Neither were they adjusting to a new culture, trying to find affordable accommodation and a job while simultaneously dealing with post-traumatic stress and the challenge of settling their teenage children into a brand new world. Even if we conclude that tests about dancing bees and recalcitrant room-mates are fit for the purpose of assessing worthiness for citizenship – and that is surely very debatable – we must acknowledge that it is going to take a very long time for our most vulnerable aspiring citizens to reach a proficiency that will enable them to pass the test. Currently we offer them 510 hours of free English tuition. That is at least 5 years short of what the research says is required to reach English language competency. The three ingredients of successful language learning are motivation, opportunity and good tuition. The Australian government must address all three if it wishes to increase the English language proficiency of its citizens. An English language test may appear to be a compelling motivation to learn the language, but without the opportunity to learn and excellent tuition over time, the test is not a motivation. It is an unfair barrier to anyone for whom English is not their mother tongue. And then this new policy starts to look and feel like Australia’s old White Australia Policy.